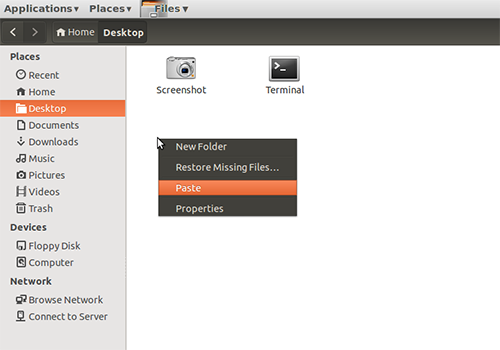 I use Ubuntu with Gnome Classic theme because it has more simple looks than latest default Unity theme. I love simple. It also can reduce graphical load in my computer. When I use this theme, some modern features are removed such us feature to create desktop shortcut. I can't drag and drop or make a link an application icon from application menu to desktop directly. Here is the way how I create desktop shortcut in Ubuntu with Gnome Classic.